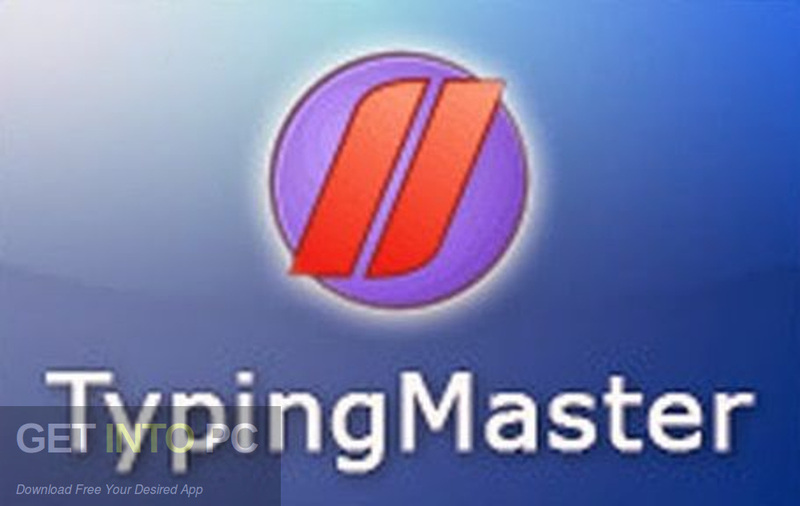 Typing Master Pro 10 Free Download Latest Version for Windows. It is full offline installer standalone setup of Typing Master Pro 10. Typing Master Pro 10 is an impressive application which will help you in improving your typing speed and for that it provides you different courses and tests so that you can learn about the correct hand position as well as other tricks. 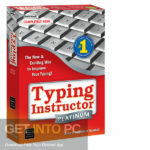 You can also download Typing Master Pro v7. 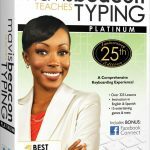 Typing Master Pro 10 incorporates three different types of courses, the touch typing course, speed building course and numbers, special marks and 10 keypad courses. 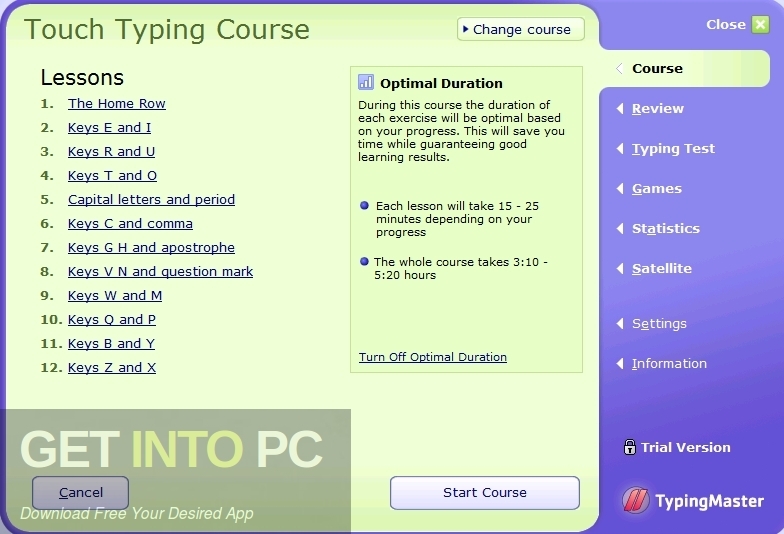 The touch typing course covers 12 lessons about the letter keys and general punctuations. The speed building course provides 6 lessons focusing on the keys each of your finger press. You can take a test of every lesson and asses your progress. You can also exercise by using keyboard drill in order to learn new and efficient ways to use the keys on the keyboard. It has also got a challenging exercise called word drill that will generate words made up of the keys already learned in order to increase the typing speed as well as fluency. It has also got a Games section that will provide you a funny environment for improving your typing skills. It has also got TypingMaster Satellite feature which will track down your real life typing while using other programs on your computer. All in all Typing Master Pro 10 is a very handy application which will allow you to enhance your typing speed. 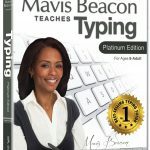 You can also download Mavis Beacon Teaches Typing Platinum 25. Below are some noticeable features which you’ll experience after Typing Master Pro 10 free download. An impressive application which will help you in improving your typing speed. Provides you different courses and tests so that you can learn about the correct hand position as well as other tricks. Incorporates three different types of courses, the touch typing course, speed building couse and numbers, special marks and 10 keypad courses. 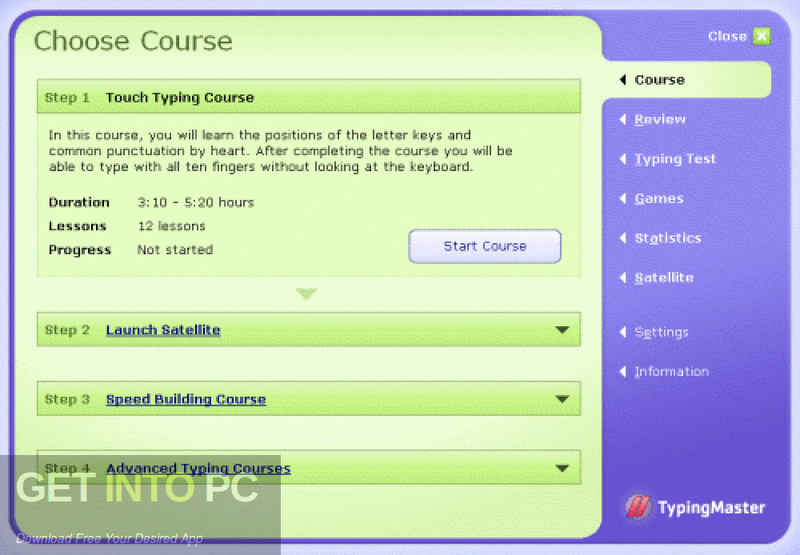 The touch typing course covers 12 lessons about the letter keys and general punctuations. The speed building course provides 6 lessons focusing on the keys each of your finger press. Can take a test of every lesson and asses your progress. Got a challenging exercise called word drill that will generate words made up of the keys already learned in order to increase the typing speed as well as fluency. Got a Games section that will provide you a funny environment for improving your typing skills. 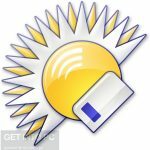 Got TypingMaster Satellite feature which will track down your real life typing while using other programs on your computer. Before you start Typing Master Pro 10 free download, make sure your PC meets minimum system requirements. Click on below button to start Typing Master Pro 10 Free Download. This is complete offline installer and standalone setup for Typing Master Pro 10. This would be compatible with both 32 bit and 64 bit windows.